Lentils are the most inexpensive source of protein, but my oh! my, they are delicious in this tomato soup. 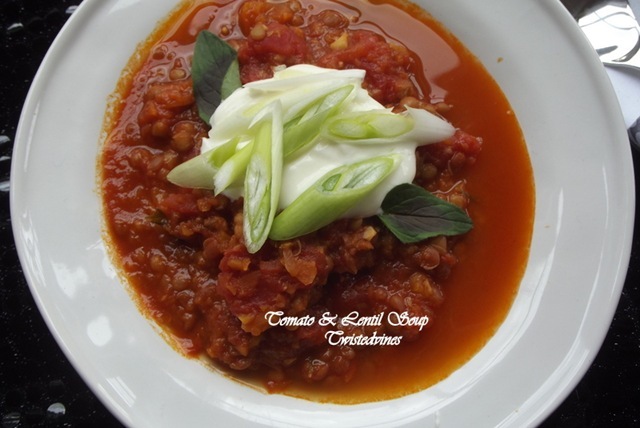 I love a rich, tasty soup, and with the colder weather it sure warms up the insides, low in calories, and packed with flavour. I’ve been following the New Slimmer Mediterranean Diet by Harry Papas, I can only imagine how wonderful it would be to call into Maria’s and Eleni’s Taverna ( Harry’s Mum and Aunties Restaurant) in Fiscardo on Cefalonia Island in Greece, where some of these recipes are on their menu, sit by the bluest of seas surrounded by mountains, and enjoy the company of Greece. “Studies continue to show that following a Mediterranean – style diet, which incorporates the traditional foods of the Mediterranean regions of Greece and parts of France and Italy, is beneficial to our health on a number of levels. From lowering the risk of heart attack and stroke,to warding off cognitive impairment as well as Type2 diabetes, cancer, and even obesity. 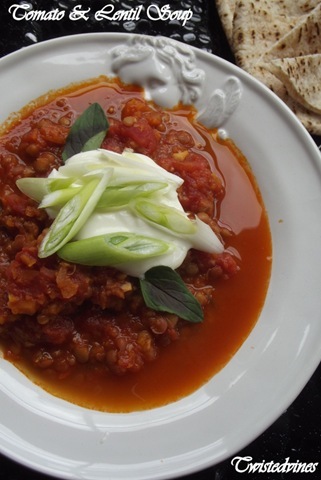 This soup is hearty, satisfying, low in calories and highly nutritious. 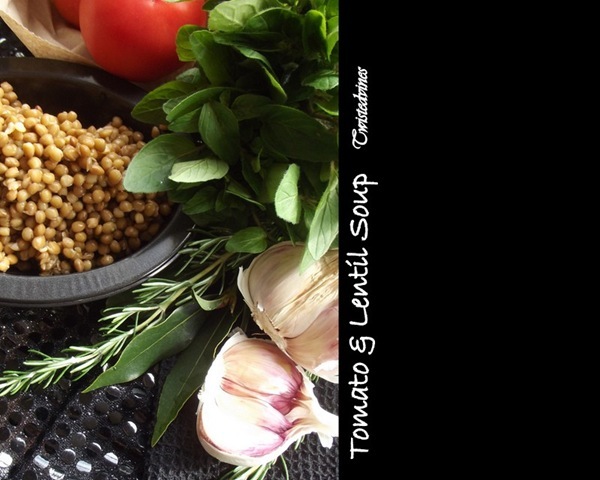 2 teaspoons olive oil + 1 small onion + 1 small carrot + 1 clove garlic + salt and pepper to taste + 2/3 cup of lentils, rinsed + 1 cup water + 1 bay leaf + 1 sprig of rosemary + a generous handful of fresh oregano + 1 cup crushed tomatoes + a dash of balsamic vinegar + 2 shallots + a dollop of Greek yoghurt. Now, don’t get me wrong I love ‘chunky’ soup, but I really wanted to keep the texture of those lentils, so wanted a smooth saucy broth, I used my kitchen whiz to chop finely the onion, garlic and carrot, sauté in the olive oil until, translucent, about 2 minutes. 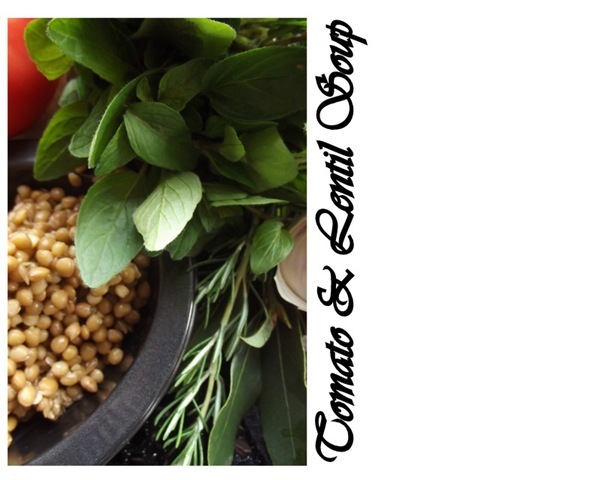 Rinse, drain and add the lentils, season with salt and pepper, add the water, fresh herbs: bay leaf, rosemary and oregano. Bring to a simmer, reduce the heat to low, and cook for 15 minutes. Add the tomatoes, stir combining all the ingredients. Cook for a further 10 – 15 minutes, stir occasionally. Remove the bay leaf, add a dash of balsamic vinegar, check the seasoning. Serve with a generous dollop of Greek yoghurt, sliced shallots and fresh oregano leaves. Accompanied with toasted pita bread. I’ll intend to continue on this Mediterranean diet over the Winter months and hope to share some more recipes with you as I move through the three cycles. What do you prefer, ‘chunky’ or smooth textured soup, creamy or broth? Heavenly soup Yvette. Depending on the type of soup I am making, will determine the texture. I like both types of soup, but prefer something thicker. Your soup looks delicious. The soup sounds delicious! Your photography is excellent! I don’t think you could have photographed this soup any better, Yvette. The ingredient list caught my eye but your photographs make the final dish so enticing. 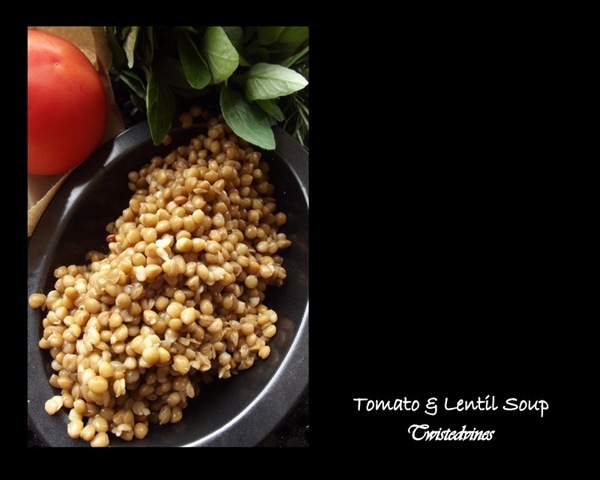 We’ve always enjoyed lentils and I can’t wait to try your recipe. Thanks for sharing! Hi, Yvette…you make everything look so yummy! Your photos are so yummy-looking, well done. 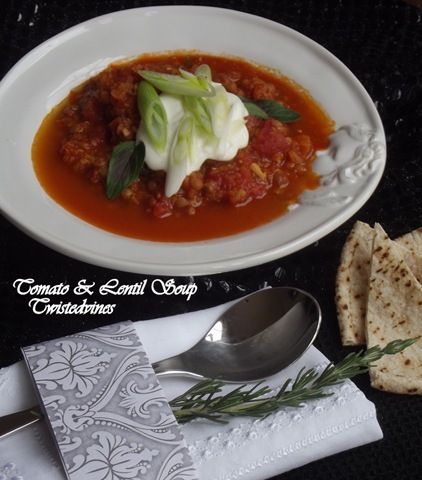 A great hearty soul warming soup! 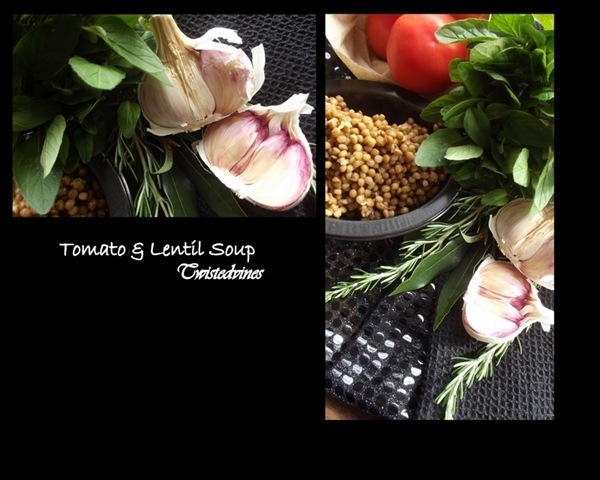 I loved the texture of this soup.One of my favourites too! You’ve definitely determined me to try the lentil soup…I never have. You combine food and art in a most extraordinary way :).